y 1905 he had decided to engage in competition and produced several racing machines. Merkel’s motorcycles were to set many performance standards in the emerging American racing scene. These machines and their riders enabled him to develop a patented spring front fork that was to become the forerunner of the modern telescopic front fork. This fork became the instrument of choice on racing machines of other builders. Also, the mono shock rear suspension was developed, a system still used today on modern motorcycles. Merkel’s slogan became: “All roads are smooth to The Flying Merkel”. He also used ball bearings as opposed to bronze bushings in the engine. In contrast to primitive atmospheric pressure intake valves, Merkel designed a cam-actuated mechanism and also pioneered a throttle-controlled engine oiler that long preceded Harley’s and Indian’s. 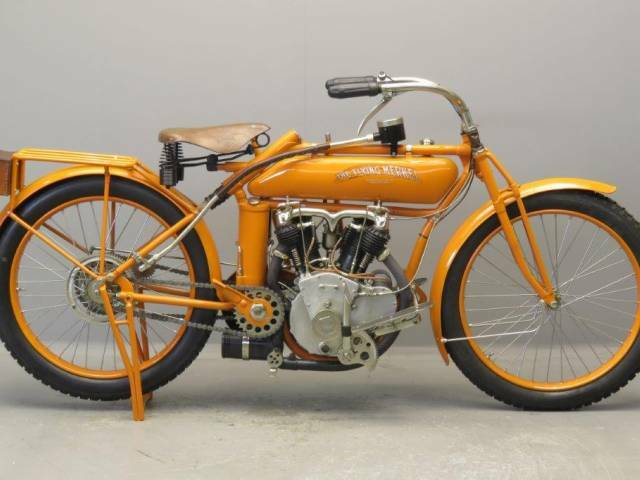 The company was purchased by the Light Manufacturing Company in 1909 and moved to Pottstown Pennsylvania, producing machines with the “Merkel Light” and subsequently “The Flying Merkel” names. Test rider Maldwyn Jones, an inventive mechanic and talented racer, defeated the reigning champion Erwin G. (Cannonball) Baker in a ten mile race. The following season Jones turned professional and won three out of four races on a machine bearing “The Flying Merkel” logo on the tank. In 1911 the Miami Cycle Manufacturing Company purchased Merkel, and production was completely moved to Middletown Ohio. The Merkel acquisition gave Miami the high-end product that it needed to be regarded as a premier manufacturer. In 1914 The flying Merkel won the National endurance run from Chicago to St Louis. However, engineering innovation, high quality and racing successes were not enough to sustain this progressive endeavour. 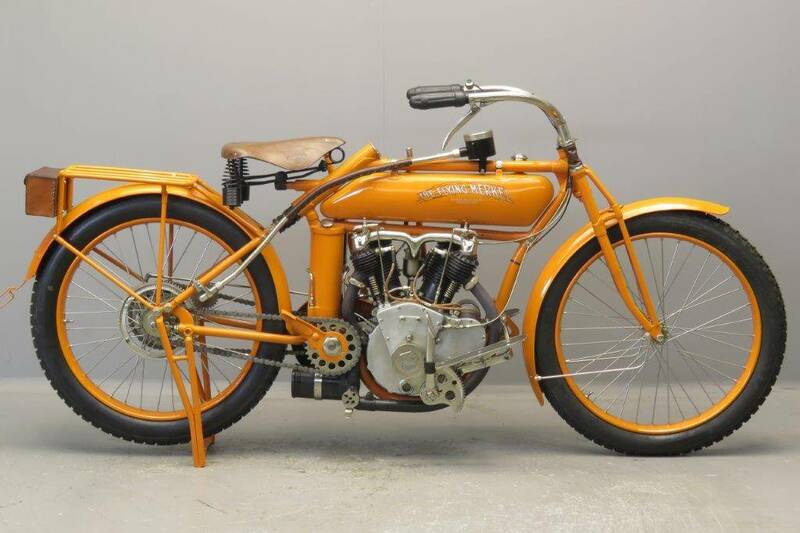 The onset of war, a contracting market and increased competition caused production of The Flying Merkel to falter. The final Merkel machines were produced in 1917. In the few years of its existence, The Flying Merkel became a true motorcycle legend. Although surviving Merkels are seldom seen these days, they are widely recognized as icons of the motorized world. For more detailed Merkel information visit the website www.theflyingmerkel.com . The resplendent machine we offer here is a two-speed model; the front handle operates the clutch and the rear controls the gear change. There is an extra brake on the pedal crank chain wheel. It is presumed this machine once belonged to a batch of Flying Merkels that was given to two Italian employees as payment when the factory went out of business. These workers returned to Italy with their machines and sold them off subsequently. The engine number 12677 is the highest known so far. With the machine comes a file of photos that were taken before the restoration.